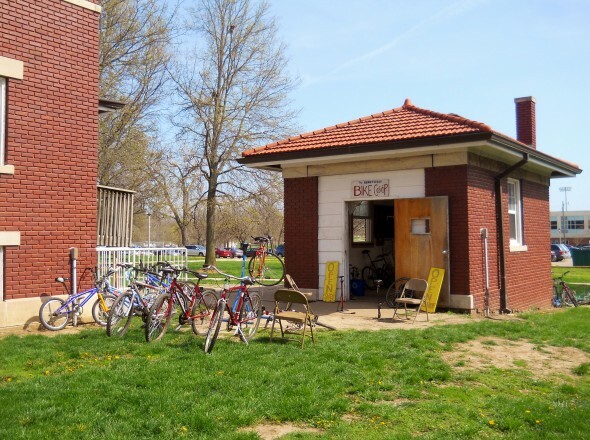 Your lovely neighborhood Kirksville Bike Co-op! A few of the tools we have available for us to use. 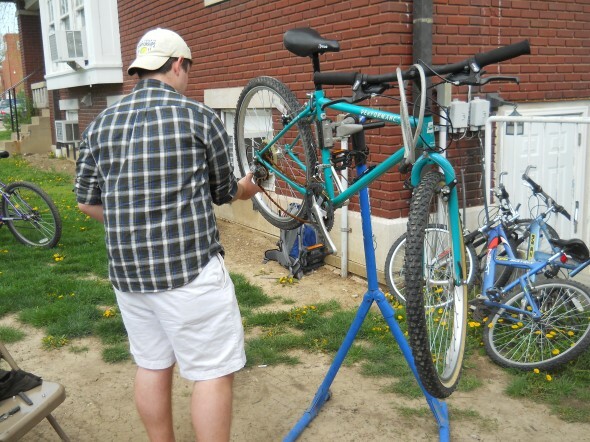 Tyler and Andrew check out a bike. 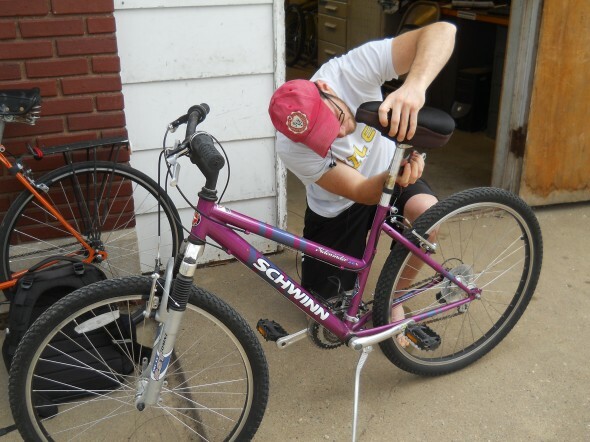 Andrew helps with a seat adjustment. 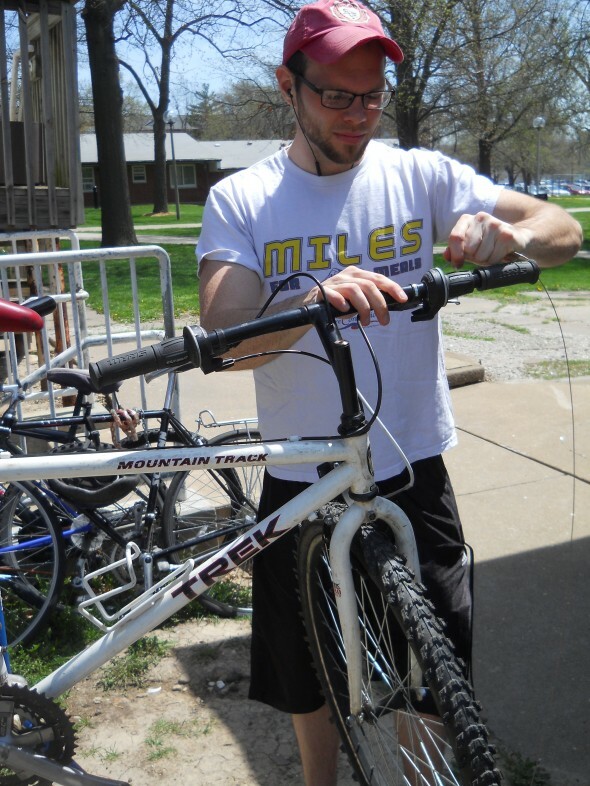 Truman student cleaning up his bike’s chain. 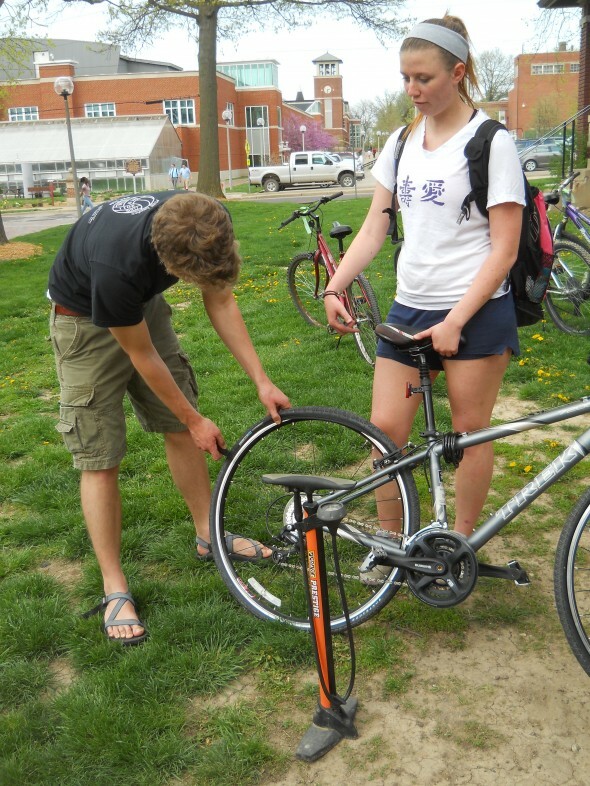 Greg helps a Truman student with her tire issue. 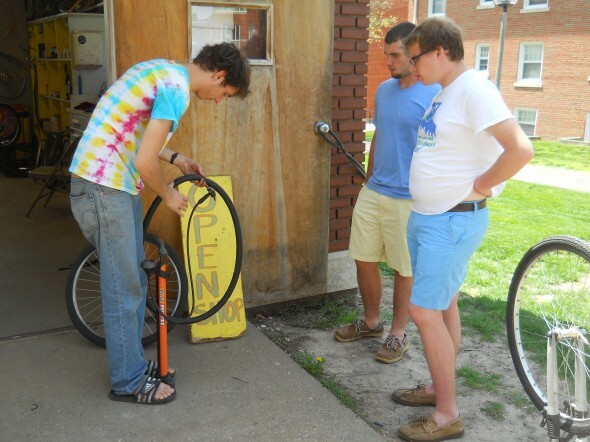 Greg shows a Truman student how to remove a tire. Patrick shows some students how to check for hole in the tube. 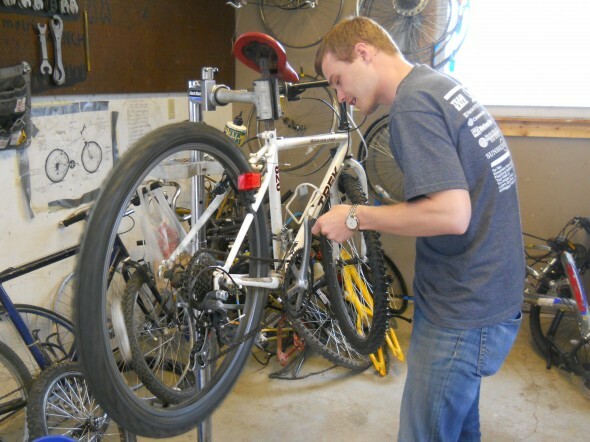 Andrew changes out a derailleur cable.